Canine teeth have a way of sticking out. If you’re a vampire, that’s a good thing. If you’re not, well, you may resent that you’re sporting fangs. You don’t have to live with overly large or pointy canine teeth, or any other aspects of your smile that you don’t like. Find out what cosmetic dentistry procedures are just right to perfect your unique smile. If you want your teeth to be a natural size, shape, color, and – especially – length, porcelain veneers are the best cosmetic dentistry procedure. Veneers are carefully designed to enhance your smile so it looks natural. That includes sanding down pointy canine teeth when necessary to make room for the super-thin and completely customized veneers. 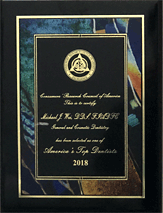 It’s up to you, your teeth, and your dentist whether your smile makeover is created with traditional veneers, prepless veneers, or Lumineers. If you’re perfectly happy with the shape and size of your teeth, a major smile makeover isn’t necessary. Consider yourself one of the lucky ones. If you nevertheless have a small complaint about your teeth – namely, the color of them – your smile upgrade is just one procedure away. Professional teeth whitening from your NYC dentist takes all aspects of your teeth into account and makes them shades brighter. No one will miss your gleaming smile in any dark alleys. If you have undersized canine teeth, whether super-pointy or not, you may be embarrassed at this child-like aspect of your smile. Veneers can conceal these fangs quite nicely, but if you are looking for an alternative, porcelain crowns could be your best option. Whether your canines are pointy naturally, or whether you have a fang anywhere in your mouth because of a chip or trauma to your enamel, a porcelain crown can fix it. The crown is designed to fit perfectly over your existing tooth and “cap” it into a flattering new shape that blends with the rest of your teeth. The crown won’t stick out, but it will certainly prevent your problem teeth from making themselves known. 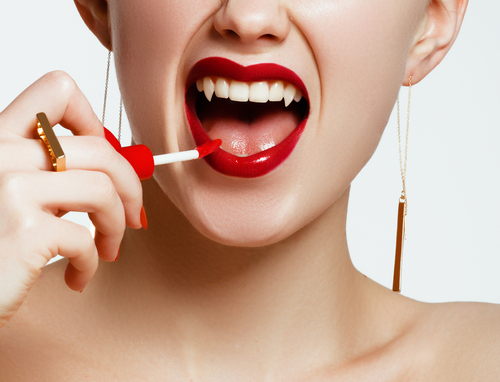 If you want to reshape a vampire fang in a non-invasive and quick way, cosmetic tooth bonding may be the right repair. Tooth-colored resin is painted on to the canine tooth to reshape it and add structure. The tooth is essentially rebuilt into a flattering new shape that will make that fang disappear. The result will be a smile that is even and complete, and no teeth will stick out any more than they should. Bonus: This procedure can be completed in one visit to your Manhattan cosmetic dentist and only takes about 30 minutes or an hour to treat one tooth. You can correct your vampire fangs just in time for Halloween, or take one last bite with them for one more October 31 before you get to your New York City cosmetic dentist for a smile makeover. There is a cosmetic dental solution for every aesthetic problem. 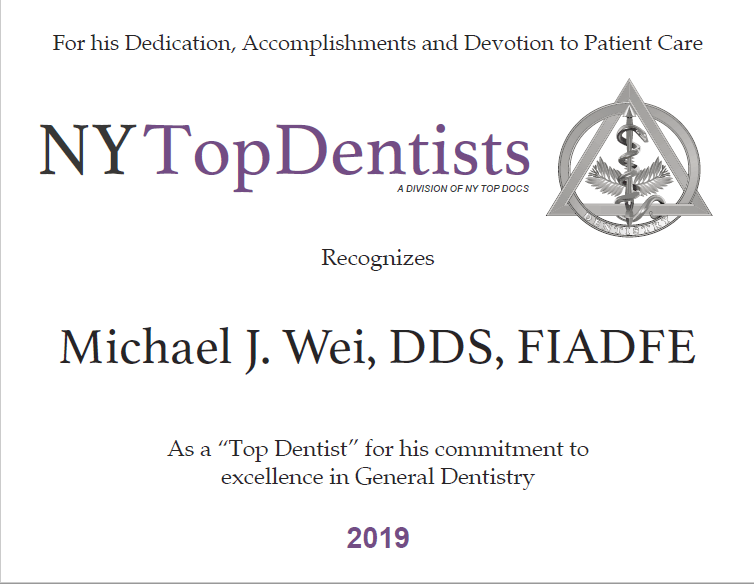 Talk to fang-tastic Dr. Michael J. Wei at his Madison Avenue dental office to find out what’s right for you. Schedule an appointment today.